Finally, the lemonade recipe I've been promising. There's not much better than fresh-squeezed lemonade on a summer day. I added blackberries and a few mint leaves to mine, and wound up with a colorful, sweet and refreshing drink. It's easy to make and won't take you longer than half an hour, tops. Eliminate the berries and mint and you've got a perfect old-fashioned lemonade recipe — no need for store-bought ever again. I'm totally in love with this lemonade and I'm pretty sure I'll be keeping a pitcher of it on hand in my refrigerator all summer. I've even used it, along with some leftover blackberries in a yummy sweet-tart sundae topping sauce — I'll share that recipe with you tomorrow! To start: Put the blackberries in a medium bowl along with the mint leaves. Using a muddler (or the back of a wooden spoon or spatula if you haven't got a muddler), muddle the berries and mint, just until the berries begin to release their juices. This will help to bring out and combine the wonderful flavors. Be careful when you're muddling — don't pound the berries, or you'll end up with juice everywhere (and it stains). 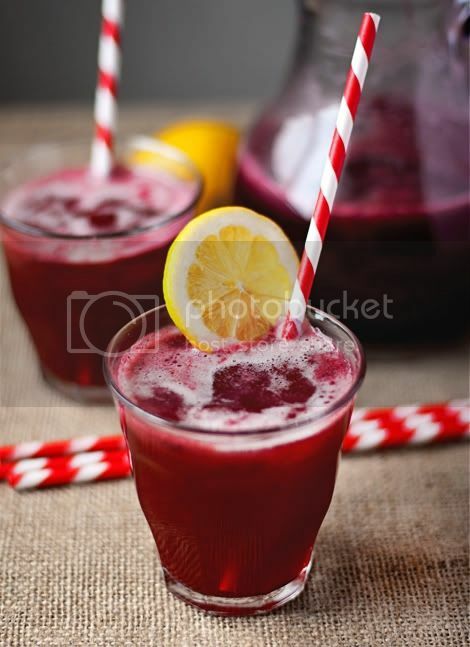 Make the lemonade: Pour the berry and mint mixture into a blender, being careful not to splash. Add the lemon juice, sugar, ice and water. Blend until completely smooth. 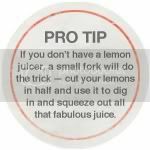 If you have a small blender, you may want to add the water after you've blended and strained the other ingredients, and mix together — that much liquid in a small blender may leak from the top when you're pulsing. Pour lemonade into a pitcher through a fine mesh sieve to strain out foam and berry seeds. Serve immediately over ice and garnish, or cover and chill in the refrigerator for later.